Yiannis Ioannou originates from Cyprus and is one of our entertaining radio presenters and producers here on LGR. Currently, he is presenting and producing three weekly radio shows every Wednesday and Sunday. Yiannis joined our family in July 2010 to present The Sunday Afternoon Show, “Aπόγευμα της Κυριακής” from 1-4pm, a musical and entertaining show full of music delights. However, in October 2010 he came up with a great idea and for four years in a row, he was producing and presenting every Wednesday evening the show called “Η Γραμμή του Φοιτητή – The Student’s Line” from 10pm till 12 midnight. Along with a great team of expert advisers, he was responsible for all students enquirers as well as making it possible to produce a special entertaining and informative show, regarding Greek students and the student life in the UK. The main aim of the show was to provide useful information and give advice to new students, graduates, young professionals and other youths, concerning the student life and generally discuss students’ issues, regarding university life, academic, medical issues and many other topics, such as nutrition, health, gym and exercise and psychological support. In addition, more students’ services such as job search and internship opportunities were introduced during the last two out of four successful series. “The Student’s Line” was one of the most well-known LGR programs and was running from late 2010 through to mid 2014. Due to the end of an era, Yiannis replaced his student show with his unique musical and entertaining show “Χαλαρά με Στυλ” and every Wednesday evening continues to entertain his audience in a fun packed 2 hour energetic show with all the latest hits from Greece and the UK, playing for you pop, modern laiko, Greek entexno and rock, along with interests in news and much, much more. In addition to this, since October 2013, Yiannis is also producing and presenting other musical and entertaining shows on LGR, which included in the past every Friday afternoon from 2-4pm. “Friday and… here we Go or Παρασκευή και Φύγαμε” as he likes to say on AIR, we guess it’s Friday and he feels GOOD… as always anyway!! 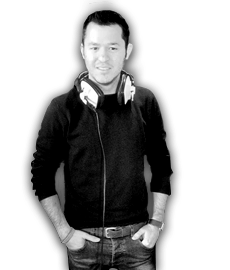 During his time on LGR, Yiannis has also presented a variety of our popular radio shows such as Drive Time. However, he has become a well-known presenter to our listeners while he was presenting and producing LGR’s breakfast show “Λονδίνο Καλημέρα” (news, entertainment & music) for over a year from January 2012 until March 2013, from 7am – 10am weekdays. Also, Yiannis is well-known for his exclusive radio interviews for LGR with well-known singers and music bands such as guests including -Alkinoo Ioannidi, Vasili Papakonstantinou, Philippo Pliatsika, Giorgo Papadopoulo, Eleftheria Eleftheriou, Despina Vandi, Locomondo, Mple and many more. 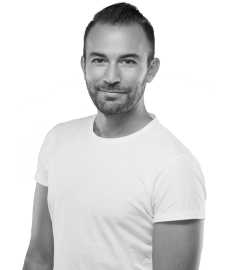 Yiannis is also a freelance journalist and a Voice Over Artist who enjoys PR and media production. Coming from an advanced academic background, he has obtained a Bachelor of Arts (BA) degree in Media Studies and a Master’s degree (MA) in Communication and Media. As an enthusiastic person, passionate and skilled in wide range of media studies and media production, he has been part of a production team on numerous occasions, working in film and TV productions as a photographer, assistant producer, assistant cameraman, music composer and production co-ordinator. He has previously worked as a photographer, a cameraman, a desktop publishing designer and reporter in local newspapers in Britain and currently writes for the Greek Media in London. He has also written a majority of articles, which have been published in local community newspapers in London. He has interviewed important personalities from Cyprus, Greece and the UK, including well-known singers, politicians and artists. He is an enthusiastic and sociable person who likes music, photography, public relations, cinema and travel. He enjoys learning new things every day and meeting new people and when not – on location, he is an entertaining presenter who makes you smile and feel happy with his own chat and musical radio shows. In addition, his television and radio production experience is ever-expanding and he aims to have a long lasting career in the media industry. Tune in and message him with your shout outs and song requests during his regular shows, every Sunday afternoon, and every Wednesday afternoon! !